Junichi Osada is a senior designer at NEC Design, Ltd.
Zenjiro became an assistant of a famous comedian, Ryutaro Kamioka in 1986. We are now in the process of developing PaPe-jiro as part of our research in human-robot communication. For a robot companion in the home, the mere ability to assist the family with various chores is not enough; it also needs to be able to converse with family members in a pleasant way, so that they develop a fondness for it. We feel that this is one of the most important aspects of our current robot research and development. In collaboration with well-known Japanese comedian Zenjiro, we tackled this challenge by focusing on developing the robot's sense of humor. In this experiment, PaPe-jiro joined Zenjiro onstage as the "straight man" to his comedy routine. This allowed us to explore the possibility of the robot's ability to laugh and joke, as well as search for an appropriate brand of robot-specific humor. Junichi Osada is a senior designer at NEC Design, Ltd. He is also an adjunct instructor at the Faculty of Art and Communication Evening Division in Tama Art University. 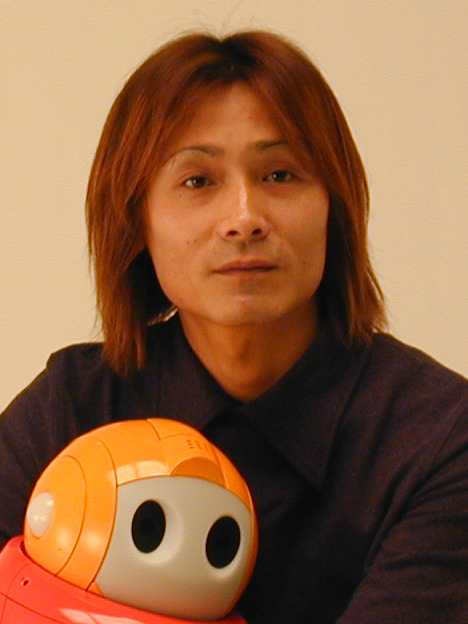 He is in charge of the art direction of the personal robot - "PaPeRo", and the research and development activities in the NEC Central laboratory. He is one of few designers who have experience in designing personal robot in Japan. His design works and researches are based on interaction design with music and sound. In the PaPeRo development, he focused on the communications between human and robot. He models the behavior of all robots as design objects. They are motion, tone of the voice, scripts by text-to-speech synthesis, sound/music effects, and words of voice-recognition, etc. As for these design objects, the art direction by using the dimension of "Tempo" of music is his original work. He also advances the cultural science collaboration research in the area of robot research with the sociology , social psychology, clinical psychology and philosophy. The collaboration with different domains is practiced, and one of the aims of his activities is to cultivate this novel research areas. At the University, he takes care of Sound and Music design exercises. He is a member of JSSD, JPA, and JCSS. Zenjiro became an assistant of a famous comedian, Ryutaro Kamioka in 1986. His first stage was "Kibun wa Jamaica" comedy show on Yomiuri TV in 1987. He appears as regular host on a lot of TV and Radio shows. His Representative program is "TEREBI NO TSUBO". He has started challenging himself performing in English and performed all over the world since 1999. He appeared in "Stand up night" on HBO, USA, "Adam & Joe Show"on BBC, UK,"Just for laughs" on CBC, Canada. Zenjiro also has a strong interest in New type of Comedy culture. He has started performing with Robot and performed in 2003. He made talking comedy Robot jointly with NEC company. 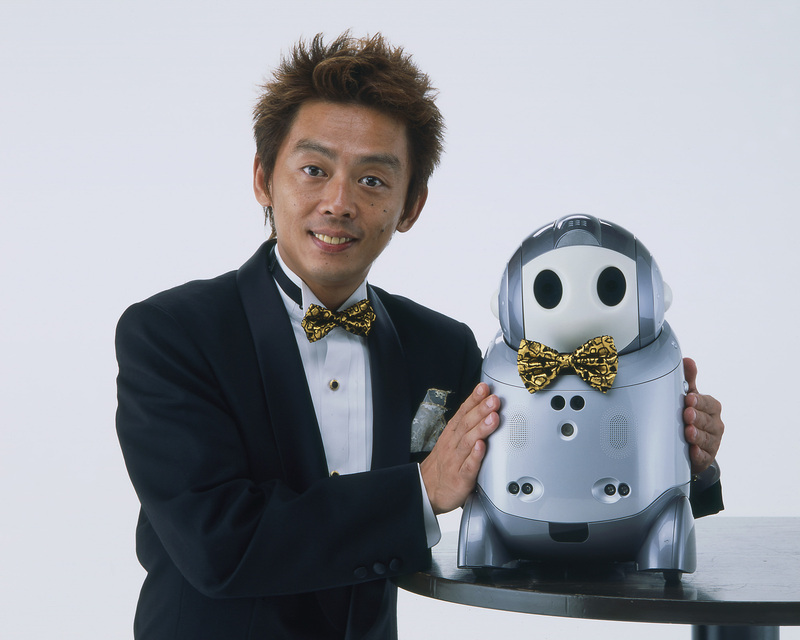 He and robot have been the guest on the BBC "Japanorama" TV program in 2006. He hopes to continue his acting work and joint development to make funny jokes with Robot at all over the world.